It's Day 3 of Movie Month and I decided to turn things up a notch by watching a movie with TWO words in its title. That's 100% more title! Today I moved sideways from the Marvel/Sony Universe (X-Men, Deadpool, Formerlly Spider-Man, Fantastic Four) and moved into the main Marvel Cinematic Universe from Marvel Studios (Avengers, etc.) 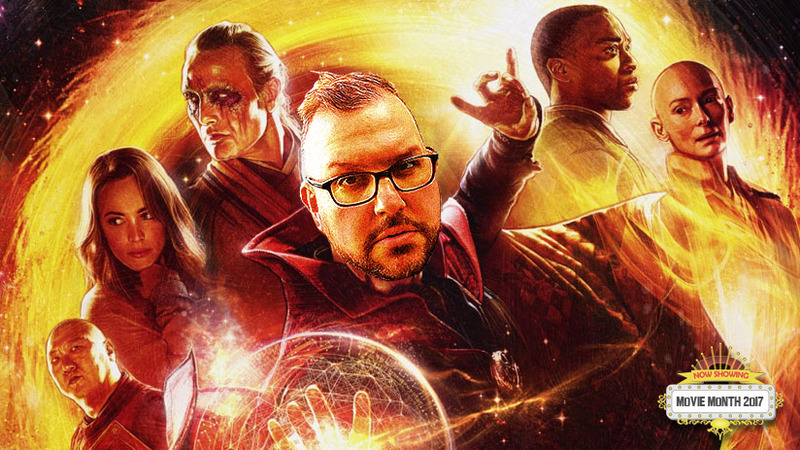 with the 2016 Action/Fantasy movie, Doctor Strange. Listen, check out the trailer, and subscribe to the podcast below. And keep track of Mike here or by using the hashtag #FNEmoviemonth on Twitter, Facebook or Instagram.